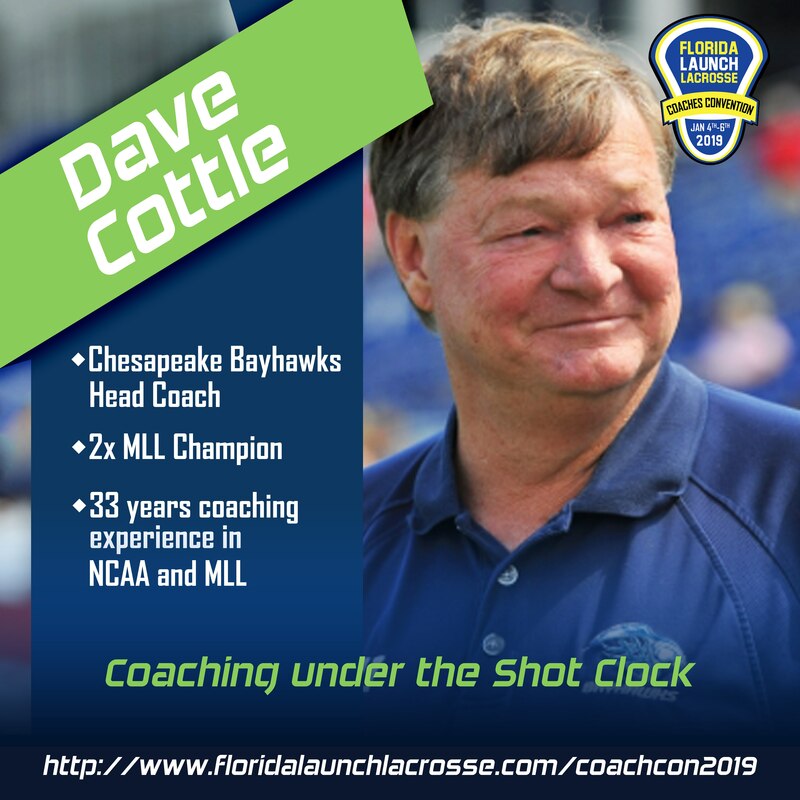 The annual Florida Lacrosse Coaches Convention is back this year, and will be held January 4-5, 2019. 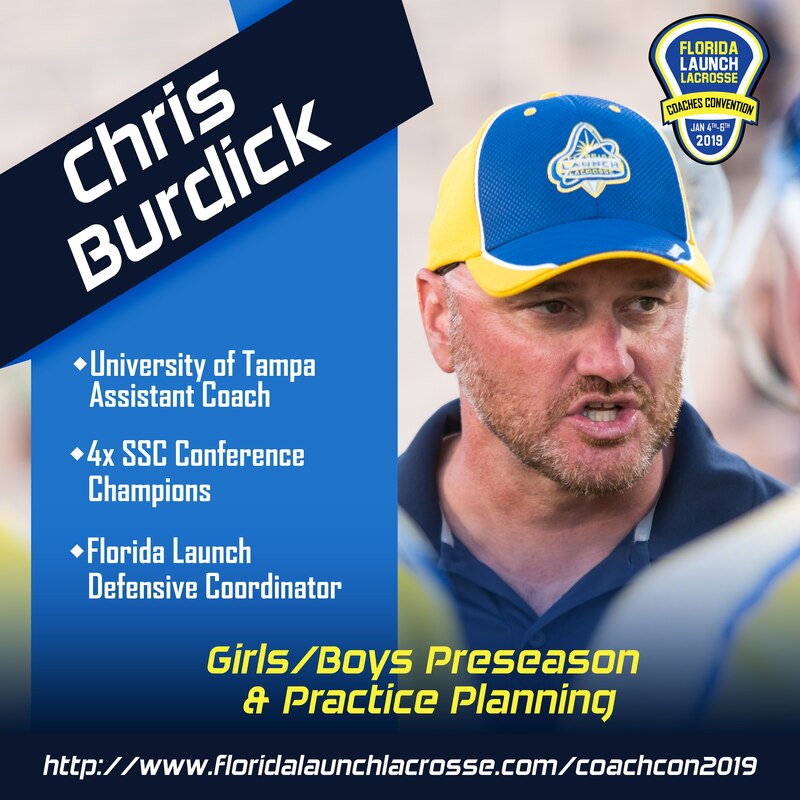 The convention will feature nationally recognized coaches and speakers covering a wide-range of topics relevant to both boys and girls lacrosse of all coaching levels. and many more in the Vendor Village! 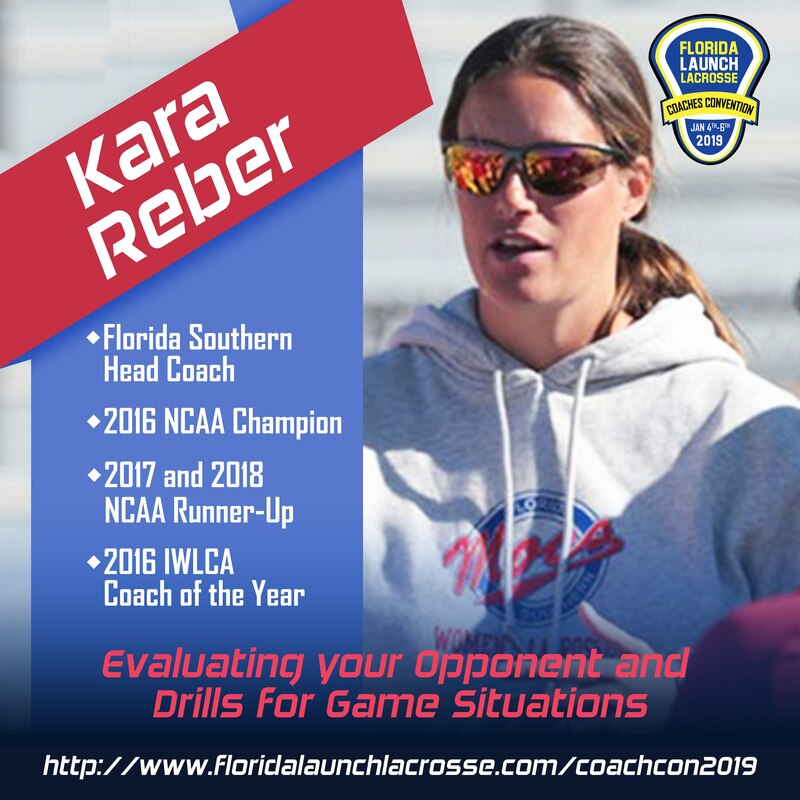 Open to all girls and boys lacrosse coaches of all levels, including youth, middle school, high school, club, travel organizations, and college level. 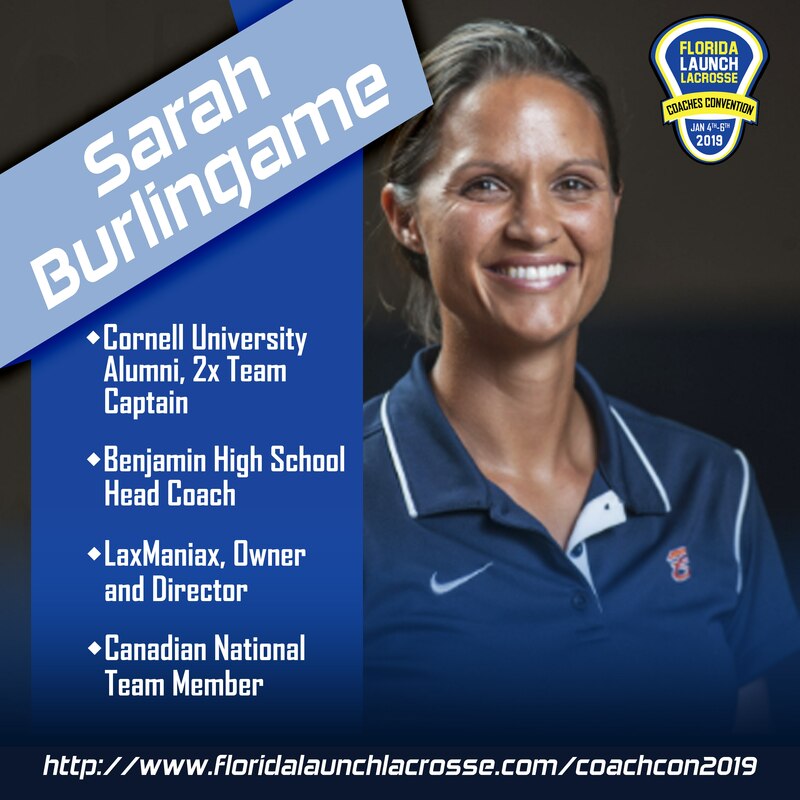 Registration Features: Happy Hour Networking Friday night with partners, speakers, and other coaches, breakfast and lunch Saturday as well as convention admittance and 4 Continued Education Hours signed off by BSN SPORTS. Face Off Techniques, Defensive Footwork and Drills, Offensive Shooting and Finishing, Defending the Goal, and a whole lot more! 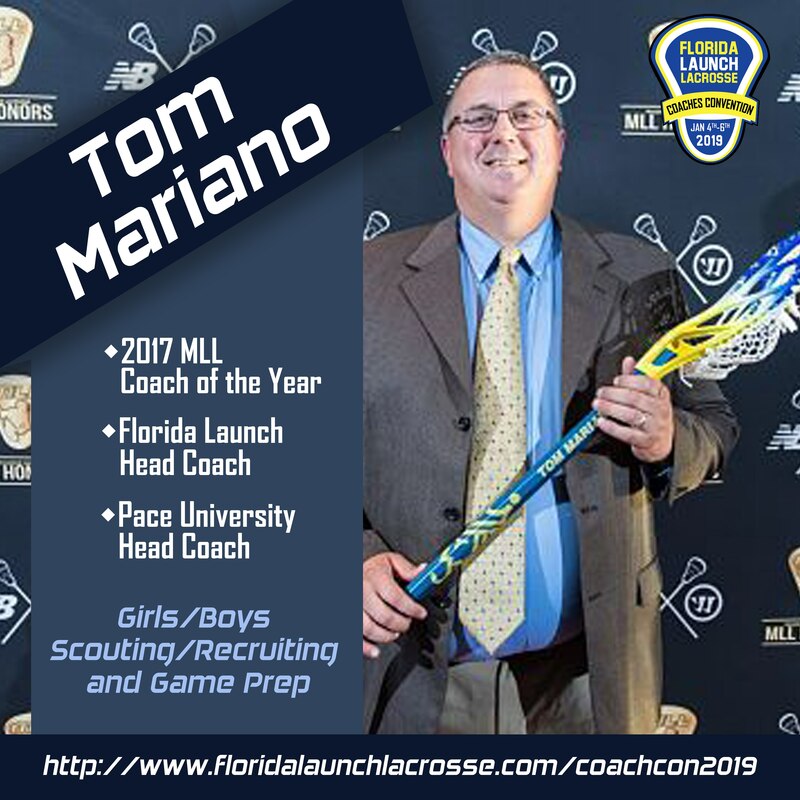 The Florida Launch announced a two-year partnership with BSN SPORTS as the official presenter of the Florida Lacrosse Coaches Convention. 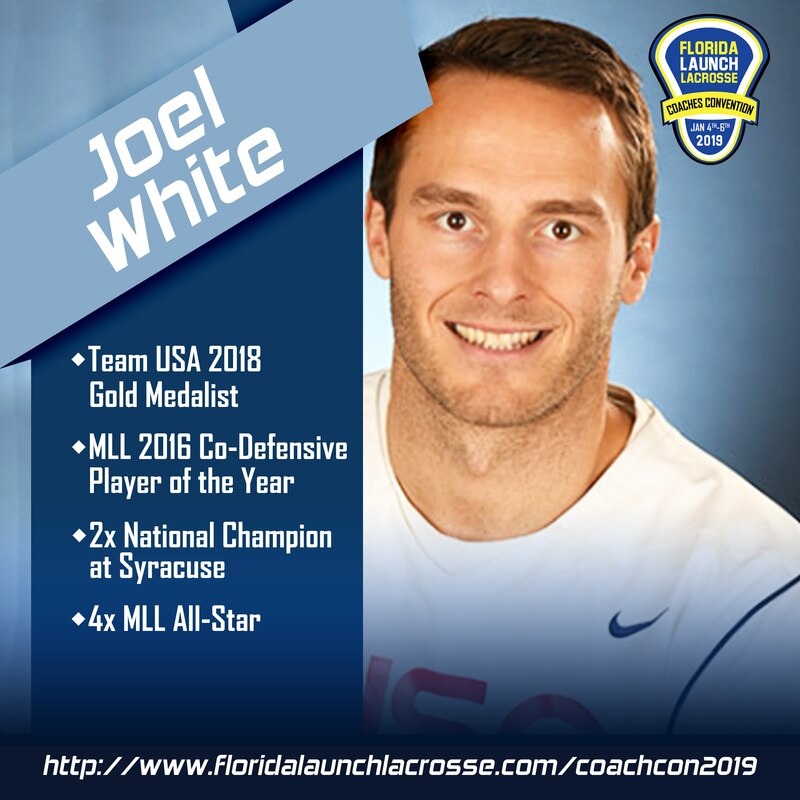 BSN SPORTS will have two representatives at the event, including 2018 Team USA Gold Medalist and MLL Defensive Player of the Year, Joel White as well as Robert Hackett who is a renown Strength and Conditioning Coach who worked with numerous teams in the NBA for 22 years. 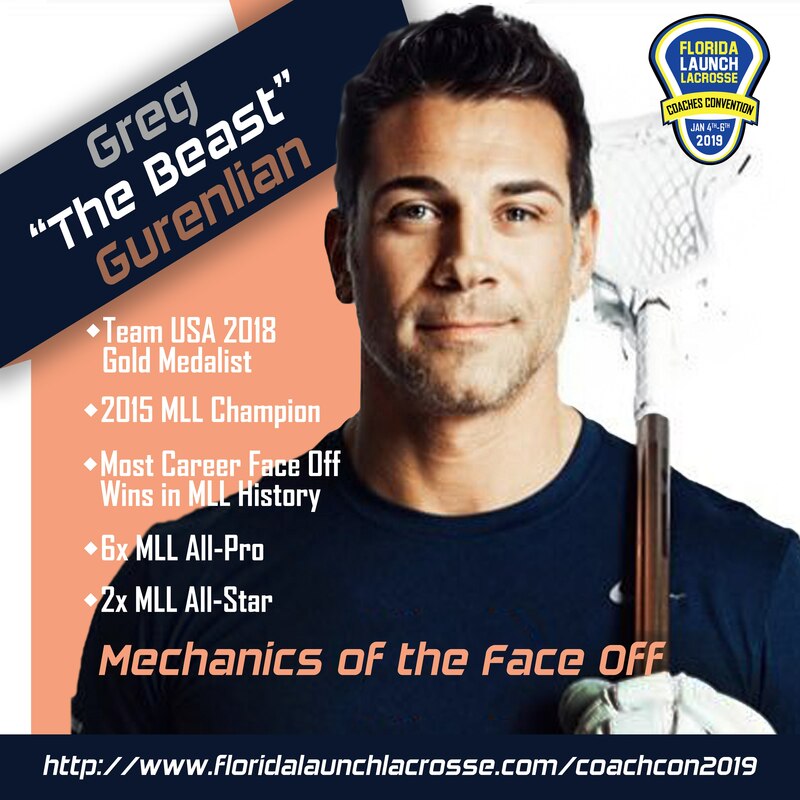 Ben Connery, of BSN SPORTS explained "We have a team of Brand Managers that go around the country and put on free coaching clinics across multiple sports. Two of our Brand Managers – Joel White and Robert Hackett – will be at this convention and we’re excited for coaches in the Southeast to learn from them. The lacrosse world knows Joel White, but they don’t know Robert Hackett. Hack spent 22 years as a head strength and speed coach in the NBA. 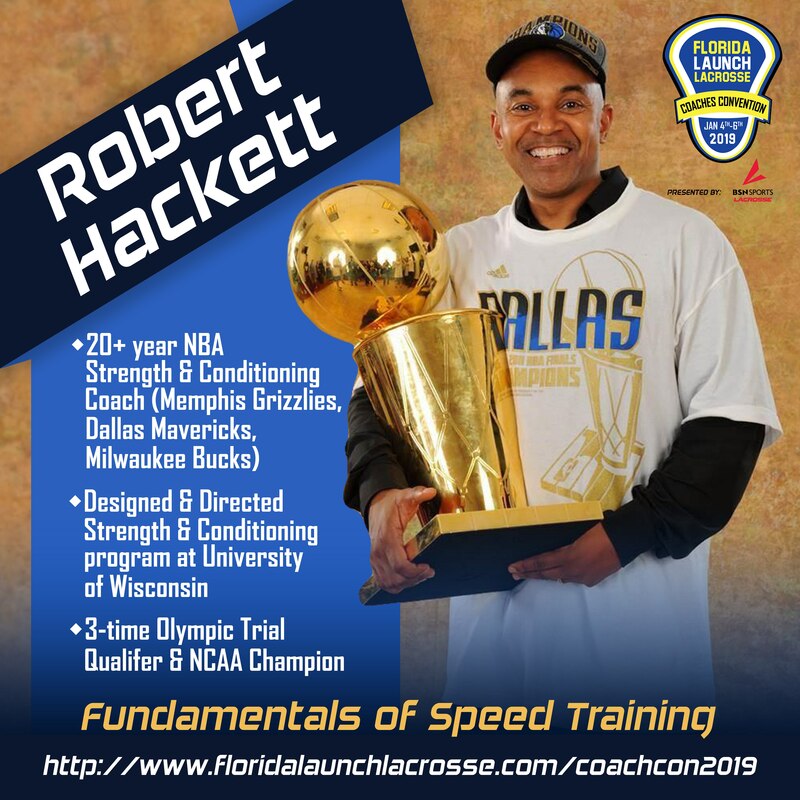 He teaches speed and has worked with future hall of famers like Vince Carter, Giannis Antetokounmpo and Dirk Nowitzki. 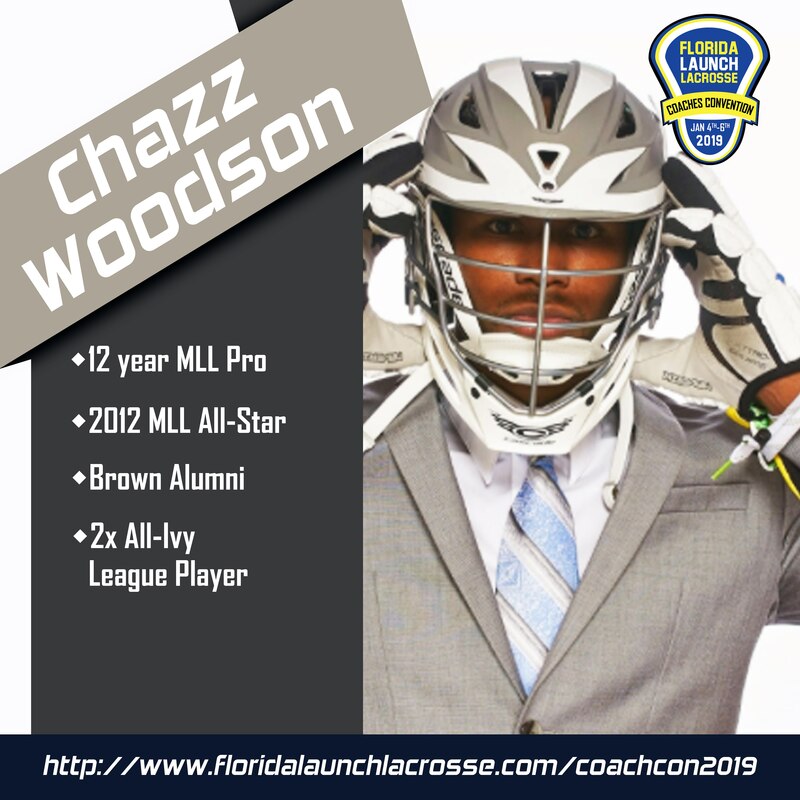 Lacrosse coaches are going to love his presentation." The second annual convention was held December 1-3 at the Hyatt Place Boca Raton/Downtown. Check out the full convention experience HERE!